I never intended to fall in love with you, but I did. At first, I knew nothing about you. You seemed so far away, foreign and mysterious from my small town roots in the U.S.
You remind me a bit of my beloved NYC because you are a vast, cosmopolitan, energetic and diverse city. But yet YOU are different and exotic. Maybe that’s what caught my attention. Bit by bit, I got to know you. I slowly unraveled your history as I wandered through your uneven cobblestone streets, your lively neighborhood pazars and your historic sites. 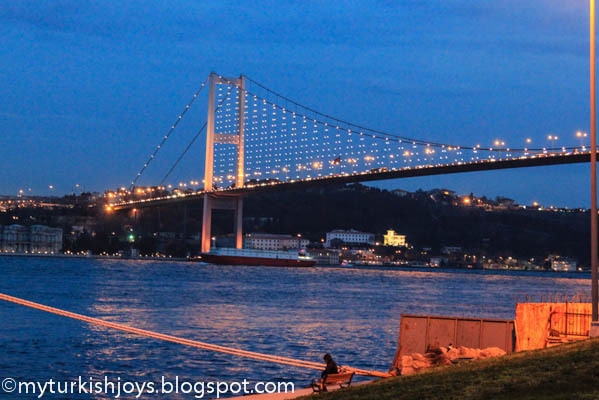 The Bosphorus that cuts right through you is hard to resist – whether I’m sitting seaside with a çay or a beer, having brunch with friends or taking a vapur to the other side. I don’t remember when, but one day it just hit me. I had butterflies in my stomach. I couldn’t stop smiling. My heart was racing. I realized I was in love with you. Don’t worry – my husband knows! I love exploring your nooks and crannies. I never know what surprises will be in store. Sometimes I discover an abandoned building sagging with age but still beautiful on the outside such as my most recent discovery of the Sağır Han. I can’t help but wonder who once lived and worked there and what stories the building could tell if it could talk. Were they yabancılar like me? I love revisiting my same shops in Eminönü for my spices and nuts and the same stalls at my pazar and being called abla (older sister). You’ve finally accepted me and embraced this yabancı into your folds. Spices at my favorite spice store - Ucuzcular. But like true love, there are days that I hate you, Istanbul. I hate the taxi driver that won’t listen to my directions even if I repeat them in Turkish. I hate the old lady who practically pushed me over while trying to get on to the bus. I hate the cars that try to run me over as I cross the street. I hate the person that always stands on the left-hand side of the escalator as I’m trying to walk up. I hate the crowded bus and dolmuş during rush hour. I hate the disorganization of getting on and off public transportation. I hate your maddening, congested traffic. I hate that I can’t fully converse in Turkish. 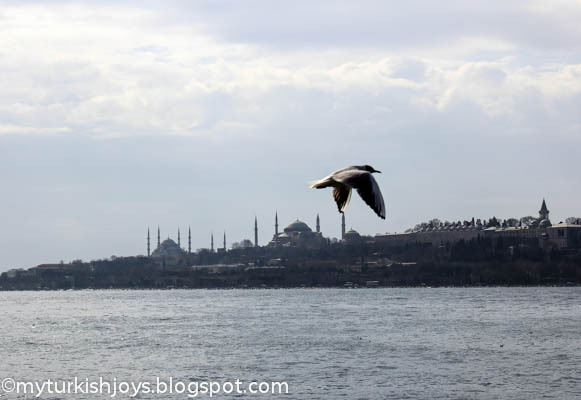 Every now and then, just like a former lover, you’ve even made me cry, Istanbul. You made me want to bury my head in my pillow and never step foot outside again. There are truly great days here as well as truly crap days – just like anywhere in the world. 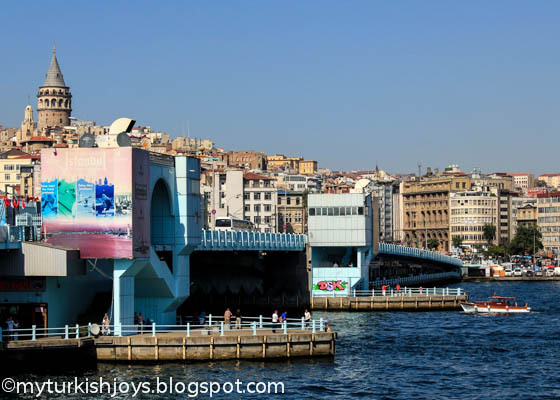 But then such a simple moment will happen as I cross the Galata Bridge and I see the fishing boats along the Golden Horn and the sun reflecting off the top of the Süleymaniye Camii and I’m awed by your beauty. And then I fall in love all over with you again. Sunset cocktails at Mikla's rooftop bar admiring the view of the Golden Horn in Istanbul. I never tire of seeing the bridges lit up at night! @Vixen, good to know! Thanks for the help! We just settled into our apartment in central Warsaw. The location is perfect - right by all the trams and buses. 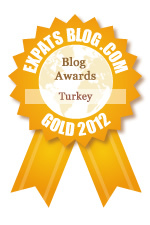 Enjoy Istanbul all you can! Where are you headed next? You surprised me with that ending to your great letter to Istanbul. I will certainly keep reading you blog from Poland. We visited Krakow last November from Germany where we have lived as expats for nearly 3 years. I hope you are happy in your new location and can find the things you need for baking. I am making your NY cheesecake on Sunday. What a nice tribute to Istanbul. Looking forward to hearing about your adventures in Warsaw. Make up the guest room, I'm quite sure you'll have many visitors. This was such a nice tribute to Istanbul.....also my favourite city and reminds me of NYC. Which I too have lived there for years. Got a chuckle when I read about 'abla'....I too get called abla sometimes and my daughter laughs. 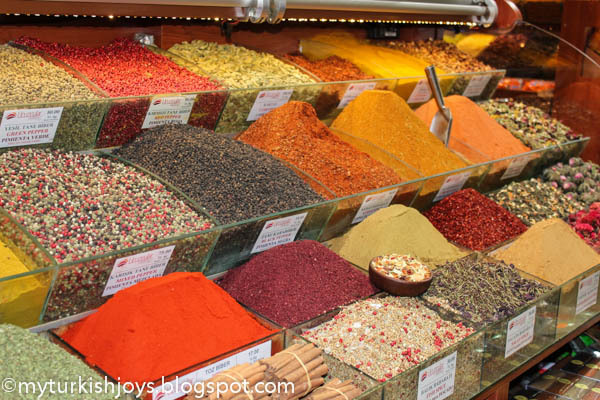 I did stock up on the spices at the Baazar though, for some reason they seem to be better then the ones I purchase here. Good luck on your new adventure....and now you will be eating lots of perogies. omg...omg...you are the luckiest person in the world! i have never been to poland but i am polish and i am dying to go there. my family was from warsaw so i will be thrilled to visit it through you. i just got a polish dvd so i hope to learn some words from you as you learn them. that was a wonderful tribute to istanbul. poland....ahhhh! @Ellyce, the guest room is ready! Hope you'll come visit! @Erica (Irene), thanks dear! NYC and Istanbul are my 2 favorite cities in the world - so far. I plan to visit Istanbul in July and will need to have a long shopping list again. Yay! @Mary, thanks for the very kind words and encouragement! Overall, I'm an optimistic person and Warsaw is starting to grow on me. It's sooo much easier to get around and I'm loving the food scene! You can count on me exploring as much as I usually do and sharing it with all of you. @Ozlem, we'll always have Istanbul! I hope to get back there in July for a week's visit. omg again!!! i just realized you have landed in pork heaven! I am just Erasmus student in Istanbul so I will come back to Poland for my last year in the university... but my boyfriend is Turkish so we are thinking where to stay together in the future and we must find the perfect way for us..
@ Jaz and Joy, you certainly are in PORK HEAVEN now. No need to lust after it, or smuggle bacon in. Of all the folks in the world, the Poles know best what to do with a pig. My grandmother used to fly to CA from NY with bags of kielbasa when I was a child - and the pork, kraut and potato dishes will replace an old pot roast any day. I am envious - so enjoy! Our Polish products in the USA cannot hold a candle to the real deal.